Slamming Capt Amarinder Singh for once again celebrating his 'coronation' as PCC Chief, BJP national secretary Tarun Chugh today asked the former chief minister what inspired him to head the same party again which he left after Operation Blue Star in 1984.Speaking in an aggressive tone at Patiala Sadbhawna Rally held here today, Chugh said, "Has the killer Congress become pious now or have you forgotten the atrocities committed by Congress party and its senior leaders on Sikhs and Punjabis just for the sake of your own vested interests? 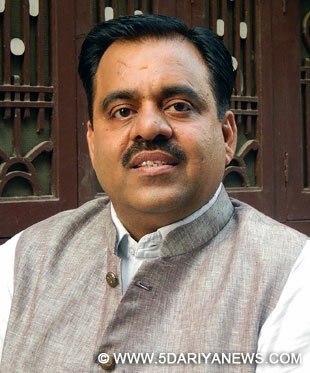 "Citing killings of thousands of Sikhs in national capital and elsewhere in 1984, desecration of several Gurdwaras and damages done to residential and commercial properties, Chugh said that Captain owes an explanation to the people of Punjab as to why no one has been convicted, jailed or hanged till date. Continuing his criticism of senior Congress leader, the BJP leader asked that by giving clean chits to the likes of Sajjan Kumar, Jagdish Tytler and HKL Bhagat what he was trying to convey. "Does Amarinder wish to implement the thoughts and agenda of these people against Punjab and Punjabis? ", he asked.Taunting Captain Amarinder Singh for his tacit support to the organizers and supporters of Sarbat Khalsa at Chabba, Chugh said it would have been better had the former chief minister opted Chabba for a rally to take over as president of the PCC.Terming the rule of SAD-BJP alliance as guarantee for peace and harmony in Punjab, Chugh said both the parties were committed to safeguard the cordial atmosphere of the state and won't allow anybody to disturb the atmosphere.